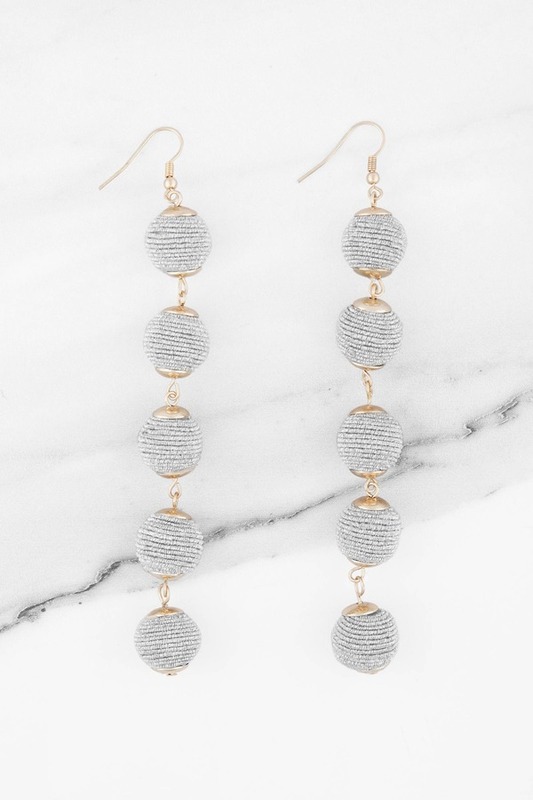 Check out Tobi's Lantern Ball Drop Earrings Who says you can't mix your metals? The Silver Lantern Ball Drop Earrings bring together gold tone fixings with silver hued lantern balls to sparkling effect. We love these long dangling earrings for nights out with a strapless dress or bralette. Who says you can't mix your metals? The Silver Lantern Ball Drop Earrings bring together gold tone fixings with silver hued lantern balls to sparkling effect. We love these long dangling earrings for nights out with a strapless dress or bralette.